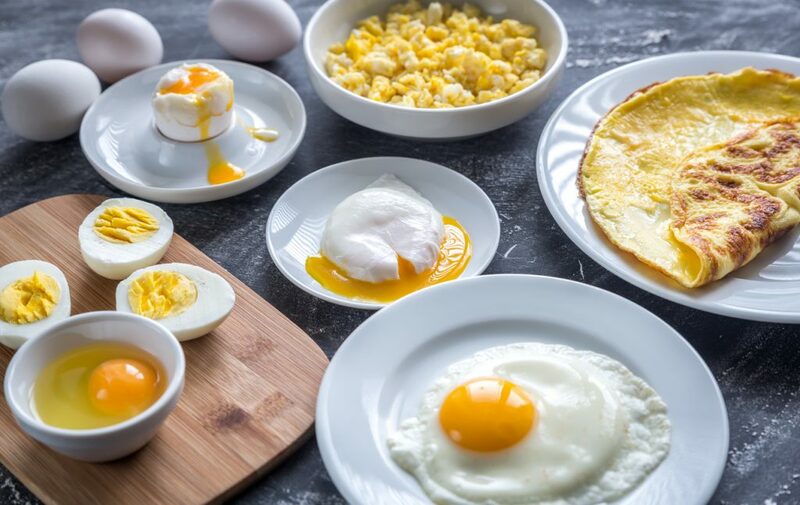 Cooking eggs might seem simple, but often times is pretty hard, because of the details you need to keep track of. 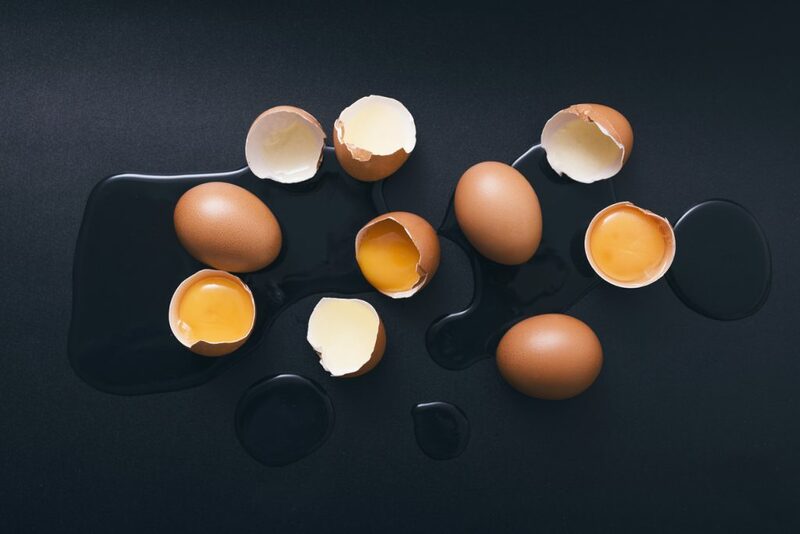 It’s very easy to make egg cooking mistakes and it even happens to the most experienced of us. But here is what they are and how you can avoid them! It’s no secret to anyone in my life that I am an egg-loving freak. Ok, let me start again. Eggs are maybe my favorite food in the world. I love them fried sunny side up, scrambled, made into an omelet, or boiled, and I cook them at least two times a week. But even with that passion, it took a lot of time to do everything right and circumvent these egg cooking mistakes. Especially since eggs are so healthy and good for us. They’re loaded with protein, vitamins like A, B5, B12, and B2, folate, selenium, and phosphorus. Not to mention decent amounts of vitamin D, vitamin E, vitamin K, vitamin B6, calcium, and zinc. All of these are things you need on a regular basis and you get them from a well-cooked egg. But cooking them is deceptively simple, that’s why there are plenty of egg cooking mistakes to be wary of. There are a lot of things that can go wrong. Here are some of them and how you can avoid them too. Eggs can be cooked in so many different ways. You just need to learn how to do it. Eggs cook pretty quickly, so don’t use high heat on the stove top to deal with them. You could dry them up too much and overcook them, which will completely ruin their taste and some of the nutritional value. The best way is to preheat your pan to a medium temperature, add the eggs, and reduce the temperature once you’ve done that. This is how you can control the rate at which your eggs are cooking. And you ensure that they are cooked evenly. You must never forget that eggs still cook even after you’ve removed them from the heat. So once you turn off the stove, make sure to remove them immediately from the pan or pot you’ve cooked them in, or you will get an overcooked mess again. So do not discount the residual heat if you want to have healthy, tasty eggs. Less than fresh eggs have thinner egg whites and less viscosity. The finished product will then have less flavor and a gross texture that I wouldn’t like to even see on my plate. But how do you find out if your eggs are fresh enough for cooking, whichever way you want to prepare them? There’s a simple test. Dunk them in water and if they float, then they’re definitely too old for eating. You can perform a test to find out if your eggs are still good enough to eat. 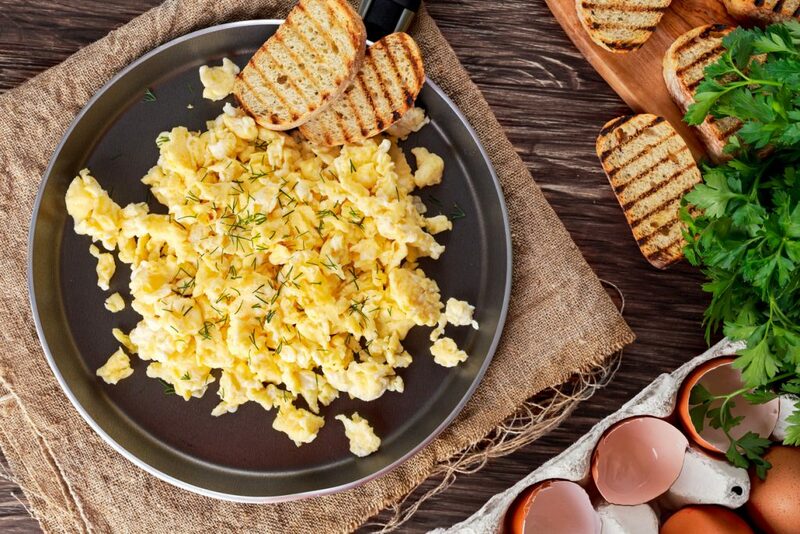 If you’re making scrambled eggs, then you should never crack them open directly over the pan out of a sense that you’re saving time or not making any dirty dishes. The eggs will be unevenly mixed and you will end up with patches of solid whites and solid yolks. Not to mention that they’re harder to handle in the pan and they won’t cook evenly. Mix your eggs in a bowl before they hit the pan and everything will be ok. Since we’re on the topic of scrambled eggs, let me say that it’s best you don’t make them in a cast-iron skillet. That way, your eggs will stick to the pan and will be a hassle to deal with. They will be harder to turn over and some of them will be inedible, with a weird taste and smell. Use a nonstick pan for this task and you will even avoid messy cleanup of the pan and one of those pesky egg cooking mistakes. Don’t scramble eggs in a cast-iron skillet. If you do, they will stick to the pan. And the last piece of advice when it comes to scrambled eggs: make sure to move them around in your pan when cooking. If you leave them to cook on their own for too long, they won’t be as much scrambled as they will form a crust at the bottom and will verge on becoming an omelet. And a poor, unpleasantly-tasting one at that. When you’re boiling eggs, you need to be mindful of the temperature of the water. If you cook them in boiling water for the entire duration, then you might end up with overcooked eggs. And they’re no fun, especially when the yolks turn a gray color. So add the eggs to the cold water, and once the water starts boiling, remove the pot from the heat. The water will still cook them (as we mentioned near the beginning of this list). But here we come to another tip: don’t leave them in the hot water for too long, or you’ll get an overcooked mess. Again. Boiling eggs is a pretty complex process and the water temperature is very important. 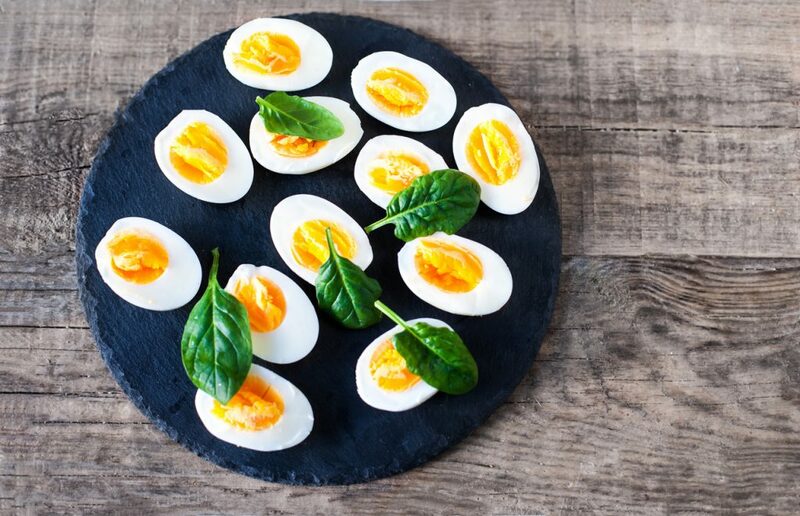 You might want to eat your boiled egg while it’s still warm, but you should definitely wait for a little while after the egg is done cooking. Cool your egg a little, maybe under a stream of cold water. This is how the shell has a bit of time to separate from the eggs. If you don’t allow for the cooling time, then you’ll have a peeling nightmare on your hands and end up with chunks of egg whites removed with the skin. Not to mention your fingers will hurt because of the heat! 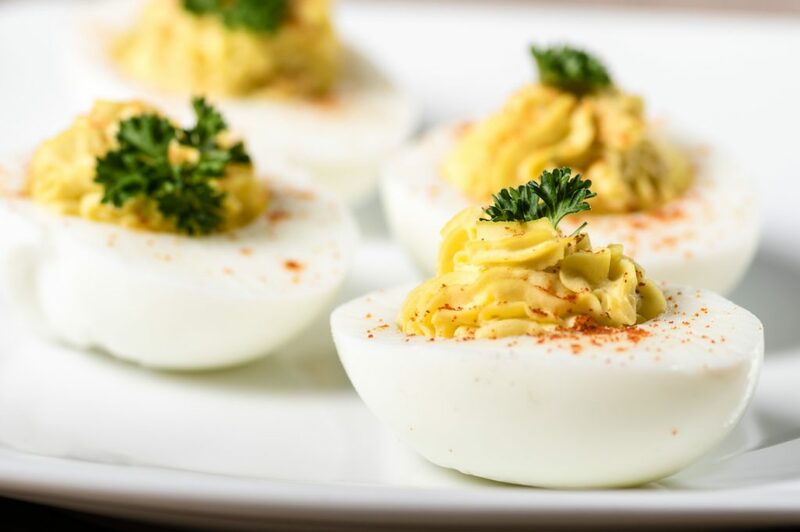 When Easter is approaching, or you’re making delicious deviled eggs, or even you have a lot of company over, you might feel tempted to boil all of the eggs at the same time, to save some effort. But crowding the pot with eggs means they will be cooked unevenly. Some of them might be overcooked, and some of them undercooked, and you will create yourself more trouble than actually boiling more egg batches. Knowing how to boil eggs is essential for making delicious deviled eggs. When you poach eggs, it’s best not to add salt to your water – even if you do it for basically any other meal. But it doesn’t work for the delicate operation of poaching. And why is that one of the egg cooking mistakes? Salt helps break down food, which is why it’s amazing for all the other dishes. But when you’re making poached eggs, you want those egg whites to stick together, so salt is a no-no. Just season them after they’re finished cooking. Do you need to know more about how to cook eggs? Our aim is to help you. Here’s our SoDelicious egg guide.